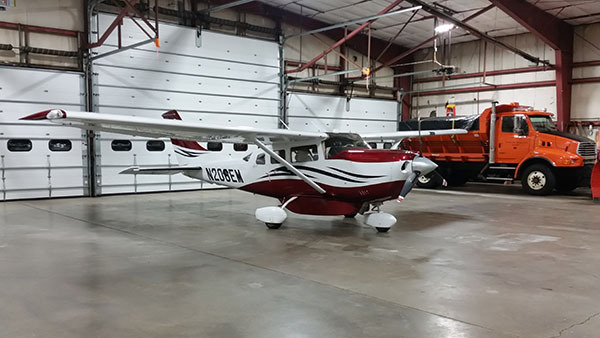 The Wellsville Municipal Airport has a variety of Hangar space available to store your aircraft. We have space for everything from small planes and helicopters, to some sizable jets. 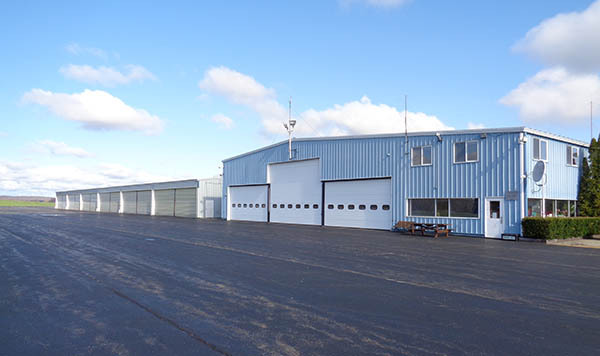 We currently offer leased space in an 80 ft wide by 140 ft long heated hangar to aircrafts such as small two set single engines, light jet aircraft, and helicopters. There is an office and lobby area off to the side of the hangar. Above the main office, there are three offices that are 12'x 24', 8'x 9', and 17'x 30'. There is also room in the building for a few more small offices to be built. This is our main hangar. We also have a 40 ft wide by 300 ft long unheated hangar that has six bays. It can hold two to three single engine aircraft, or a light twin aircraft as well as smaller helicopters. There is a large privately owned hangar on the north end of the airport. It is located off the airport property, but is fenced in the airport. This hangar space is also available for lease. Click here to view all our hangar rates! In the future, we would like to build an eight bay T-hangar. This requires us to get commitment from potential tenants looking for a private space. Please contact us at (585) 593-3350 if you are interested in supporting our plans for this. A plane sits in the large hangar at the airport. The Wellsville Municipal Airport and our community hangars.